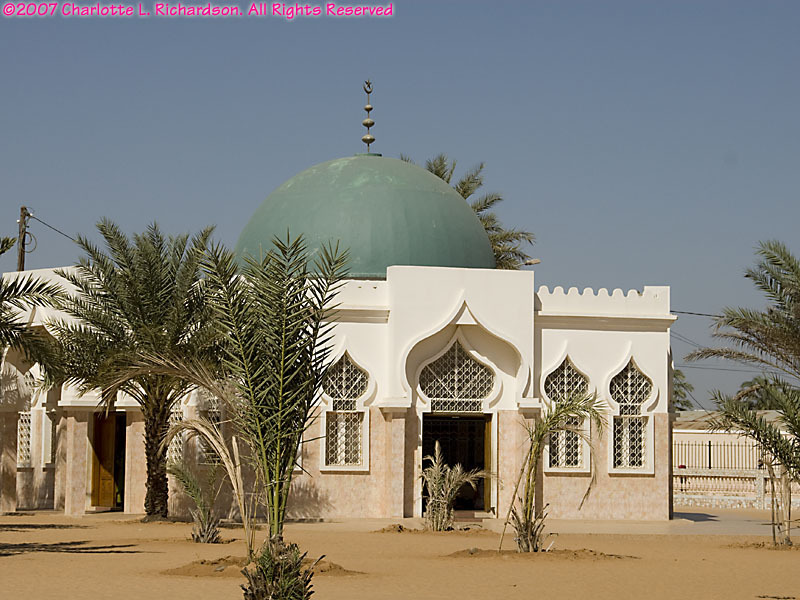 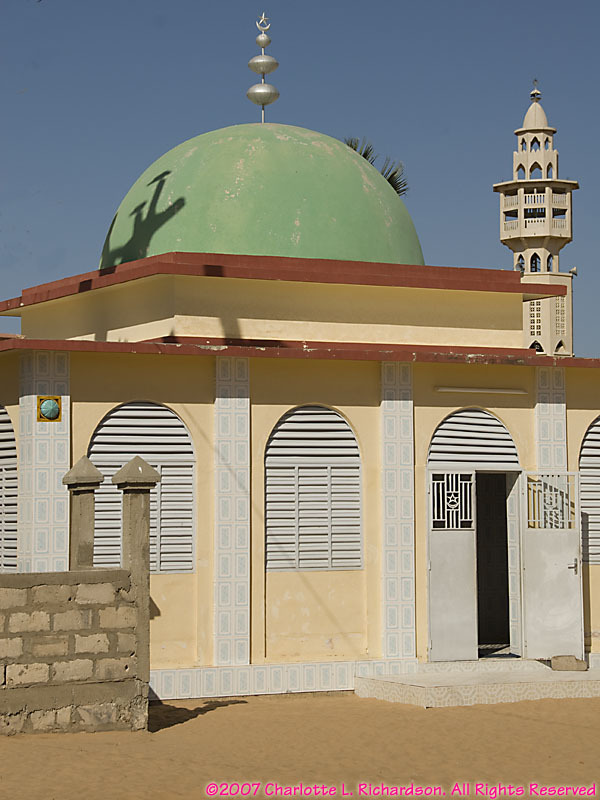 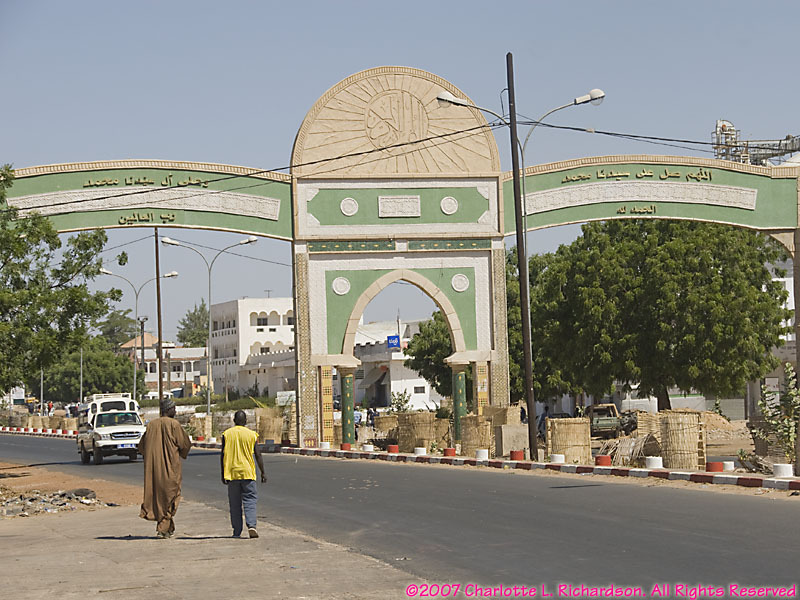 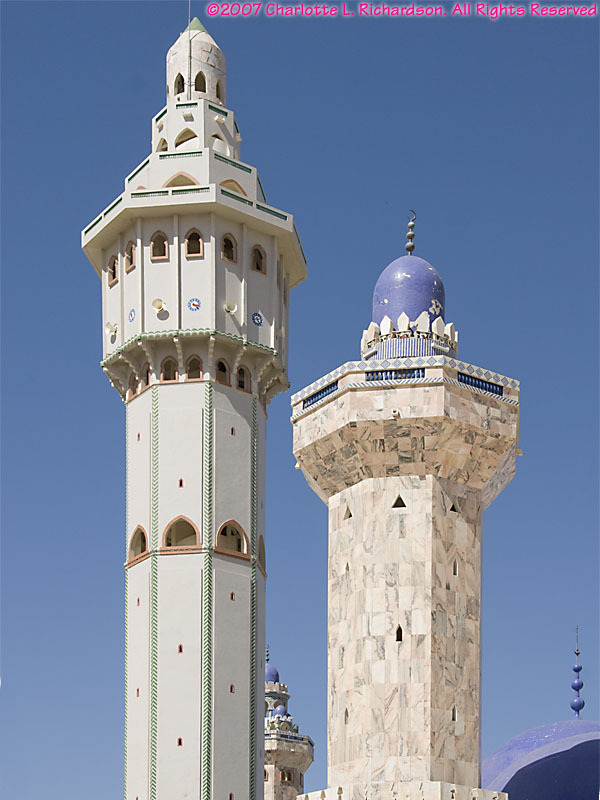 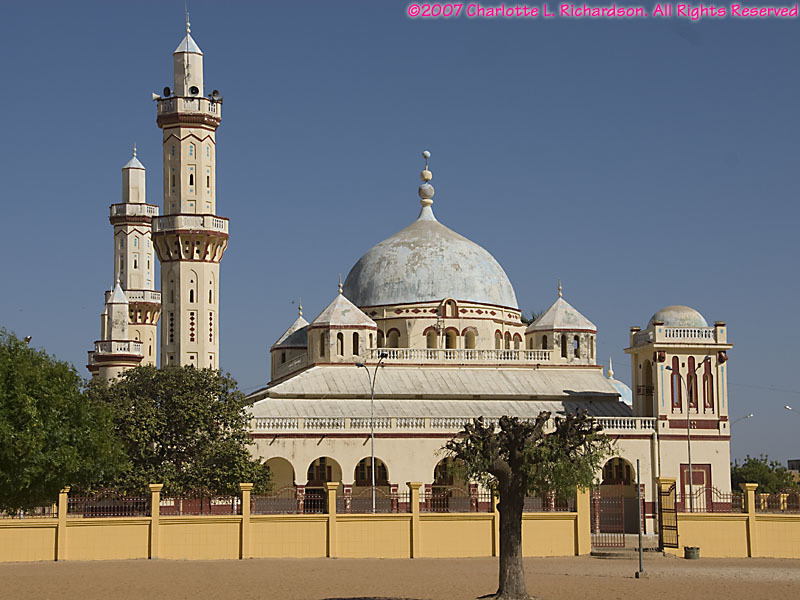 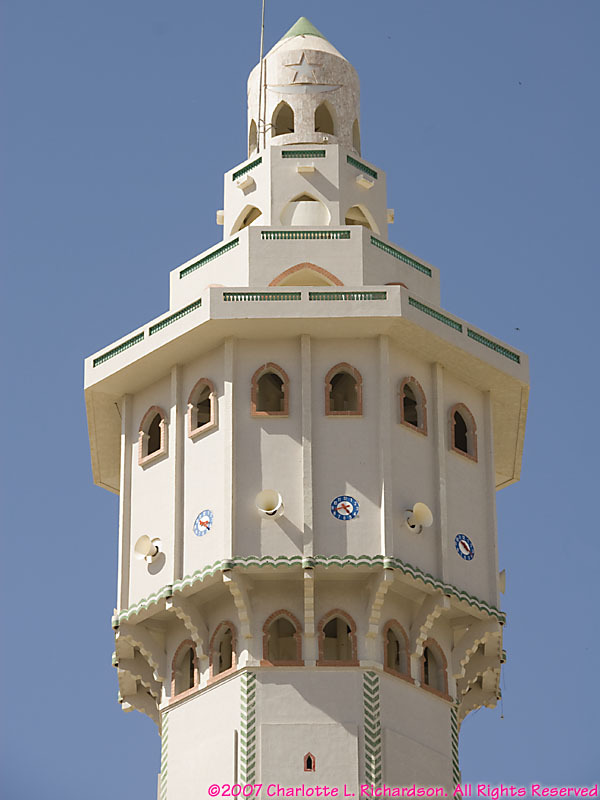 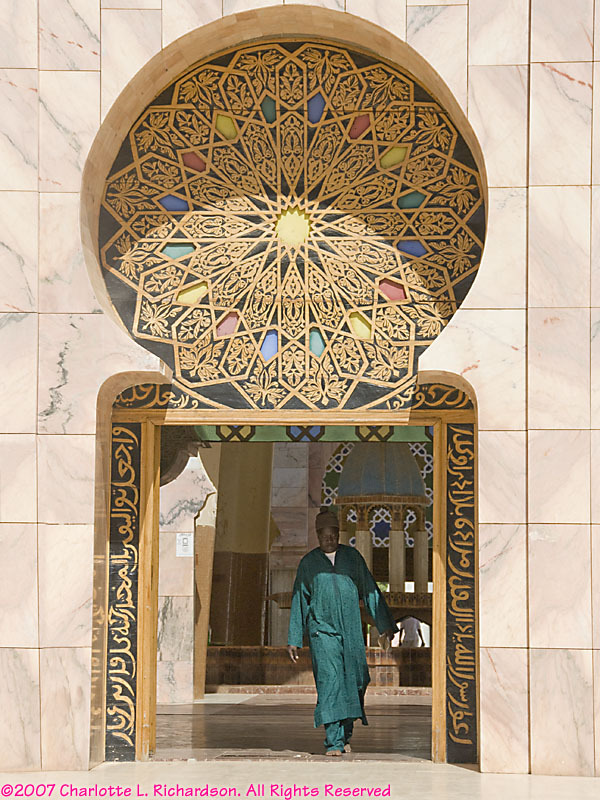 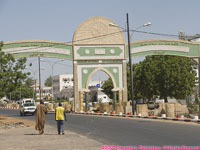 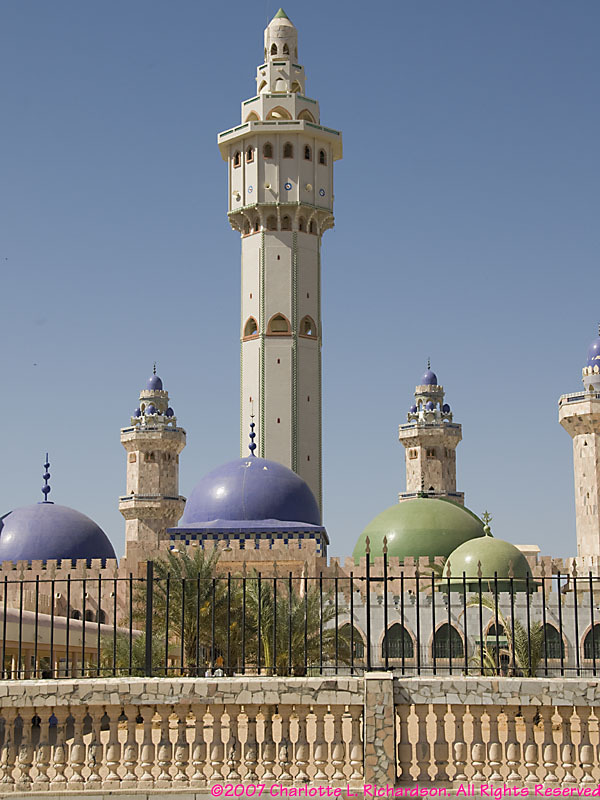 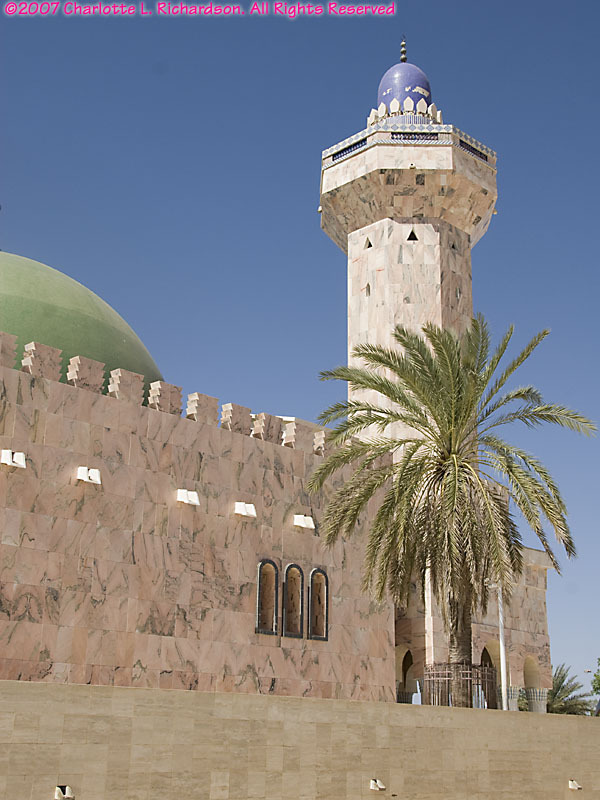 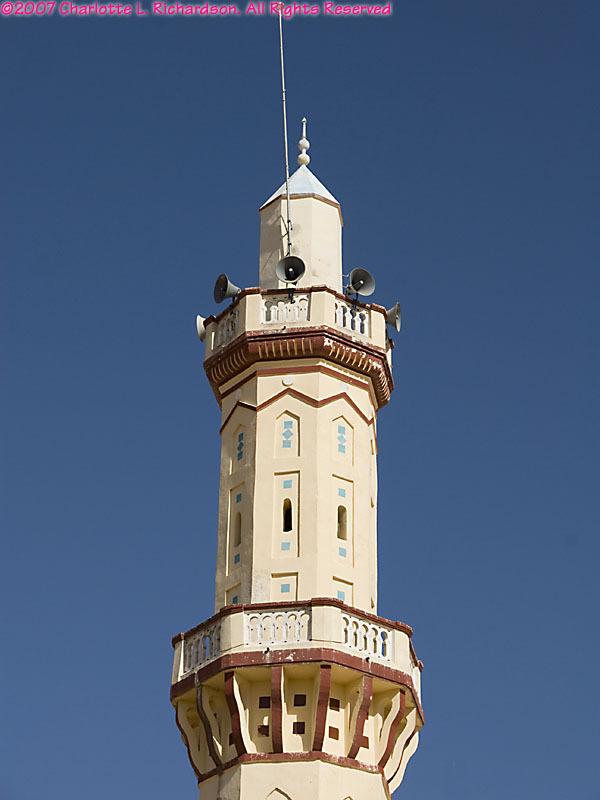 Touba, inland from Dakar, is the holy city of the Sufi Moslem Mourides brotherhood (Mouridiya) founded by marabout (African Moslem teacher) Cheikh Amadou Bamba. 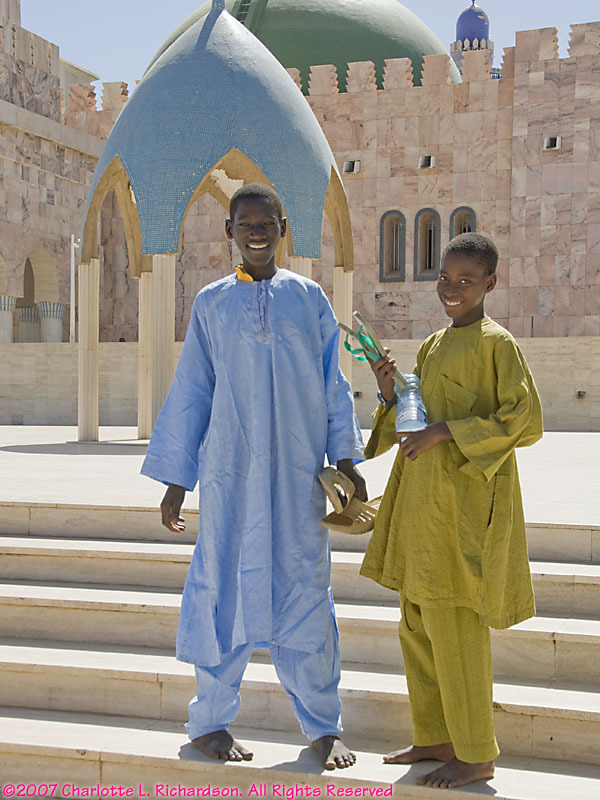 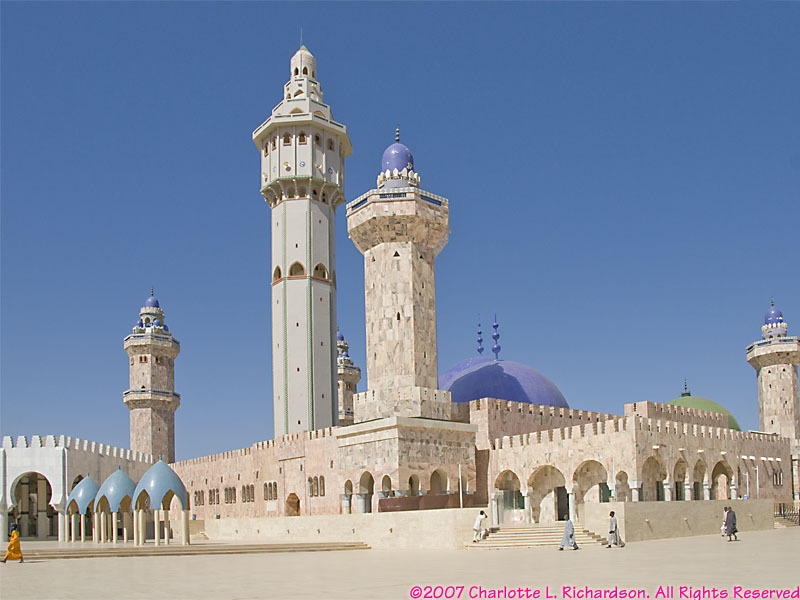 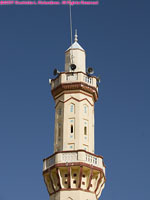 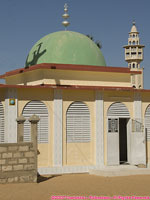 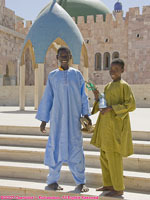 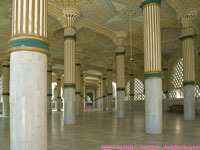 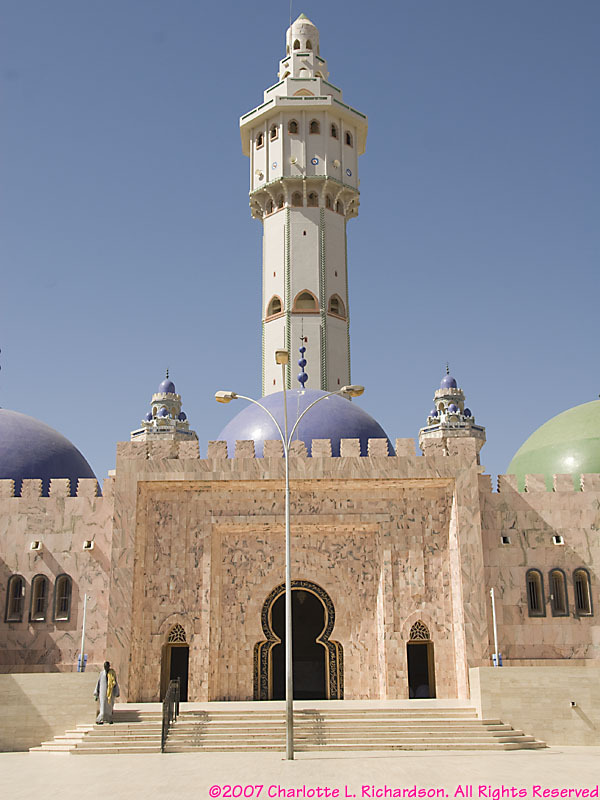 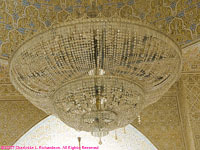 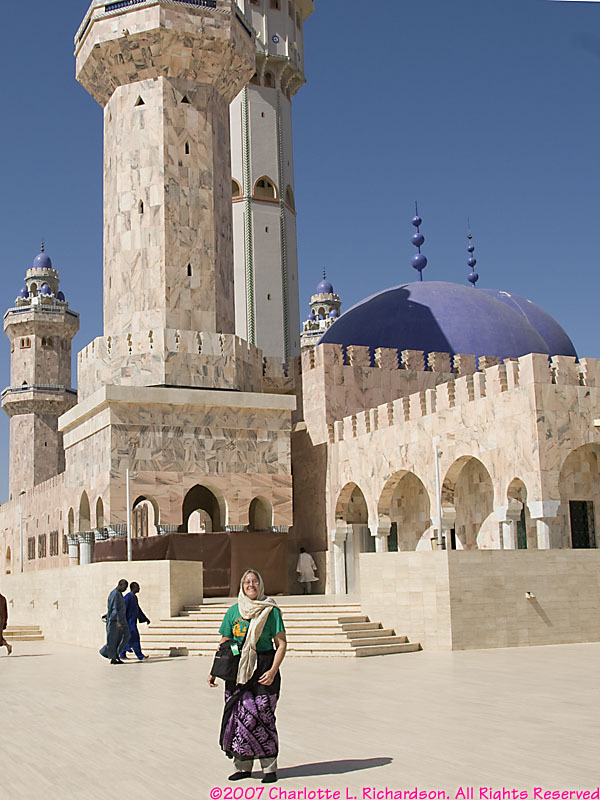 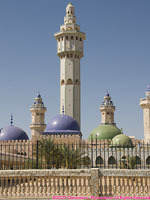 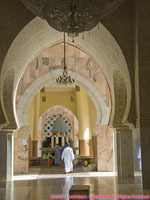 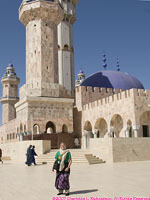 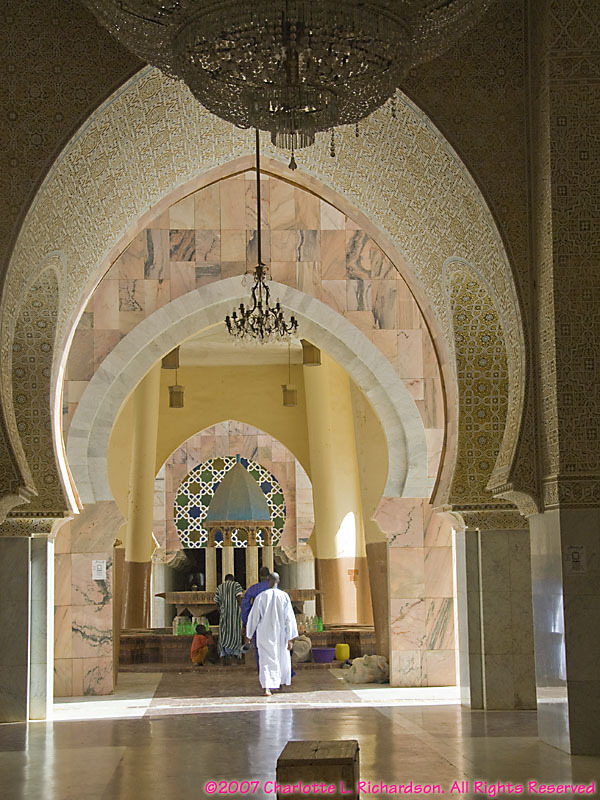 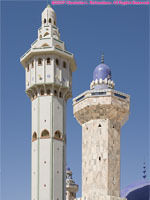 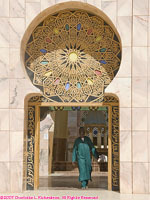 His burial place, the magnificant Grand Mosque, is the most imporant religious shrine in Senegal. 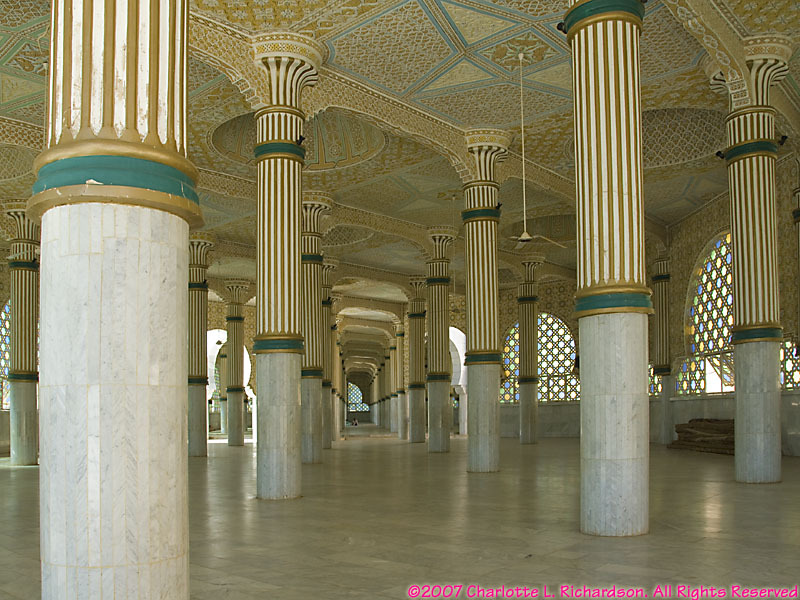 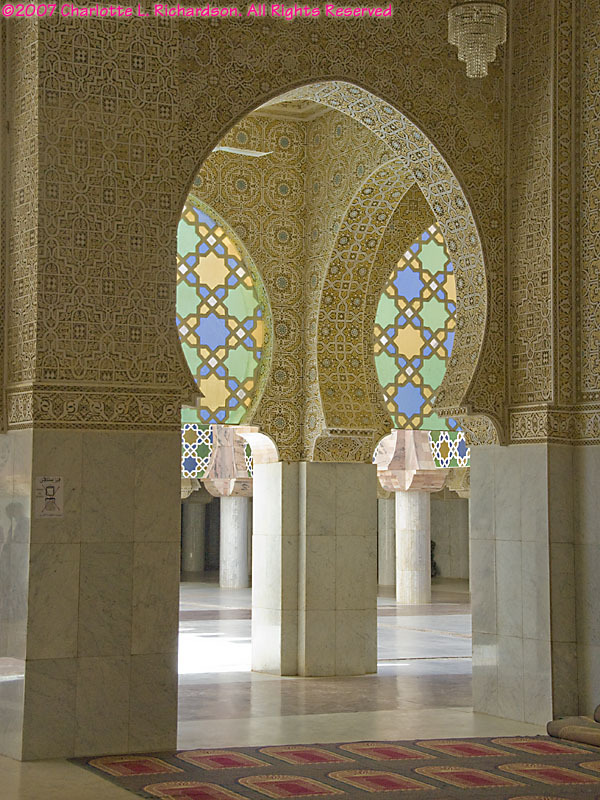 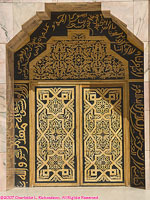 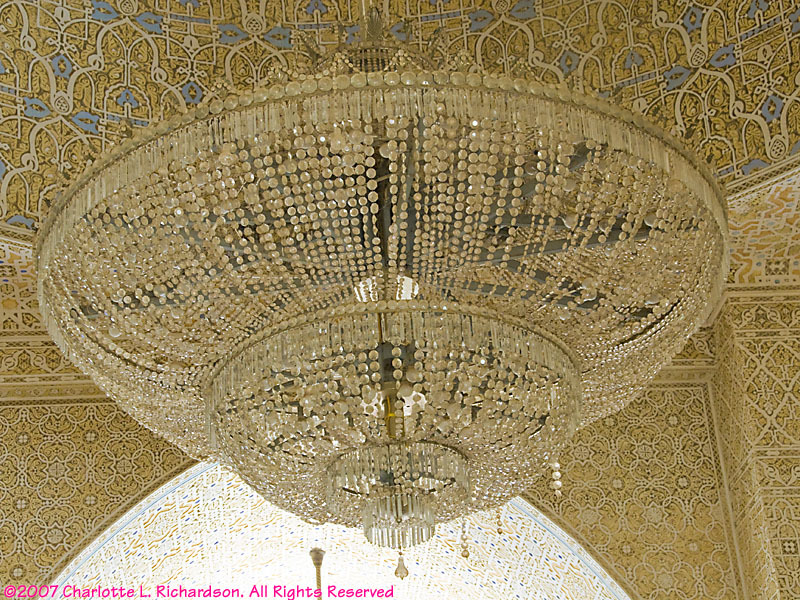 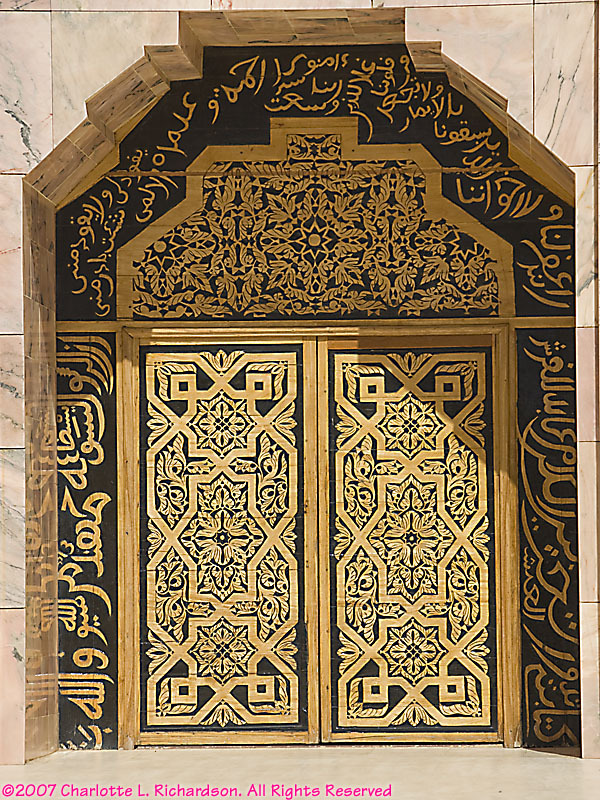 The floors are built of white Italian marble, some of the minarets are pink Portuguese marble, and the elaborate doors are hand-carved. 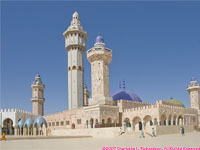 48 days after the Moslem New Year 2 million of his followers make the Grand Magal pilgrimage to Touba celebrating Bamba's return there from twenty years of exile in 1907. 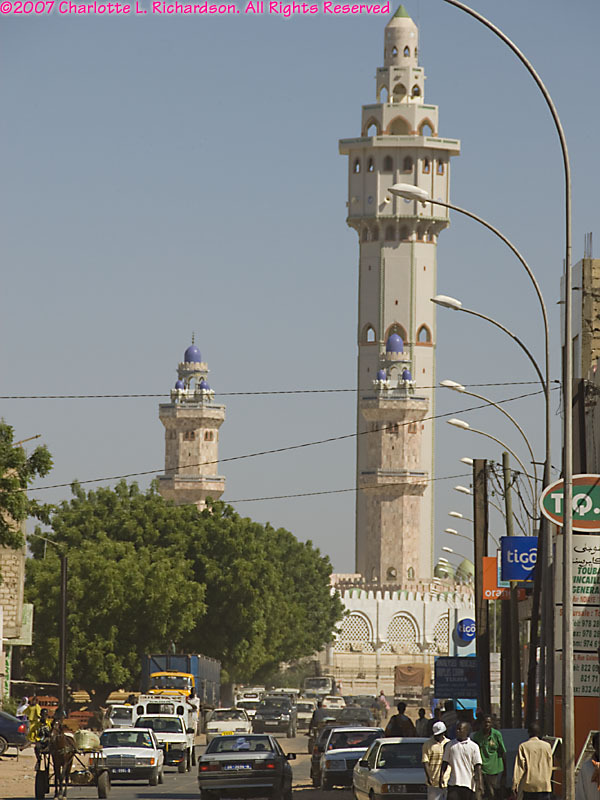 His famous talibé (student) Cheikh Ibra Fall, called "Lamp" Fall, founded the Baye Fall, who believe in the virtue of industrious hard work and do most of the heavy labor in the area around Touba. En route to Touba from Dakar, 48km from Touba you pass through Djourbel (Diourbel), birthplace of Cheikh Amadou Bamba. 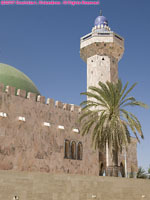 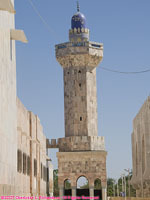 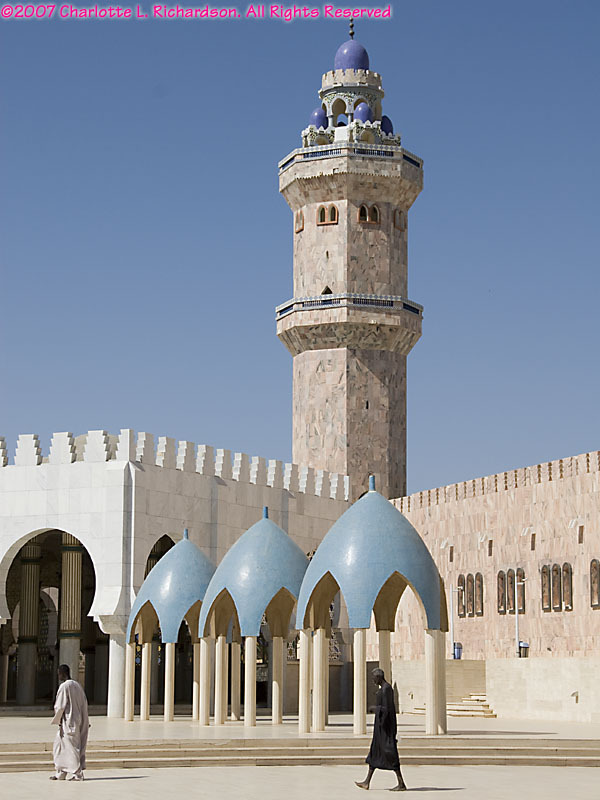 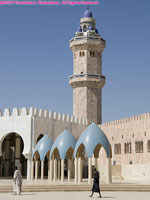 His family compound is surrounded by high walls, but the town's lovely main mosque is visible.